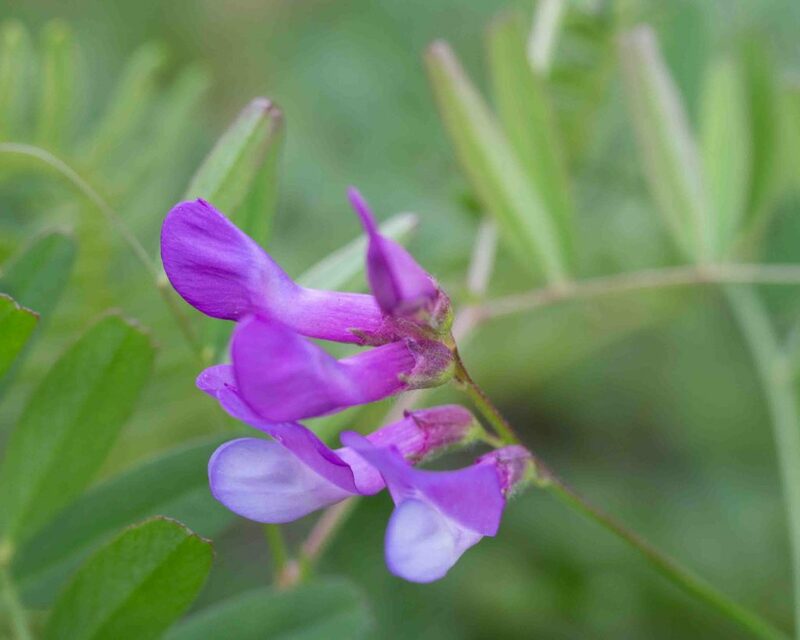 Not unlike Winter Vetch (Vicia villosa subsp. varia) in appearance but there are significant differences. First, it has fewer leaflets (4–8 pairs as against 6–12). 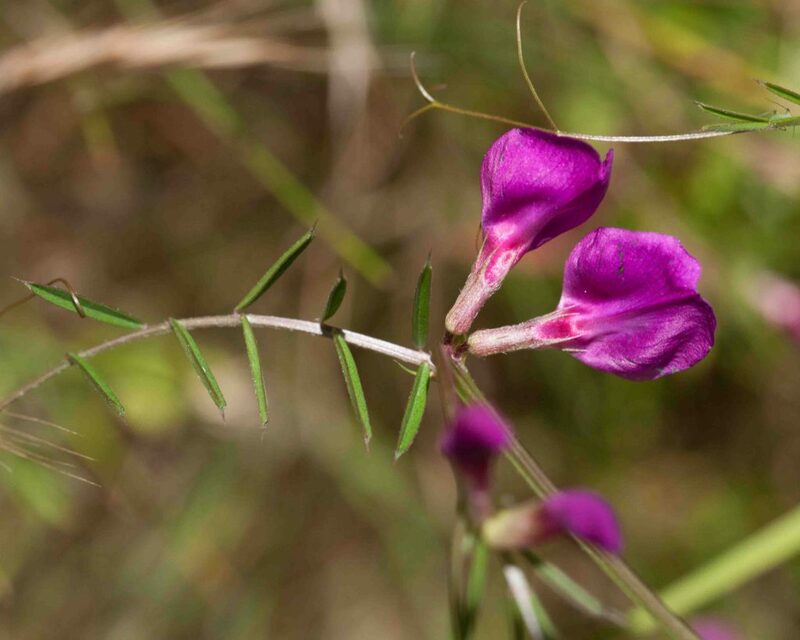 Secondly it has fewer (3–10 as against 10–20) flowers which are dark or red-purple rather than lavender (the photo on the right show both subspecies for comparison). 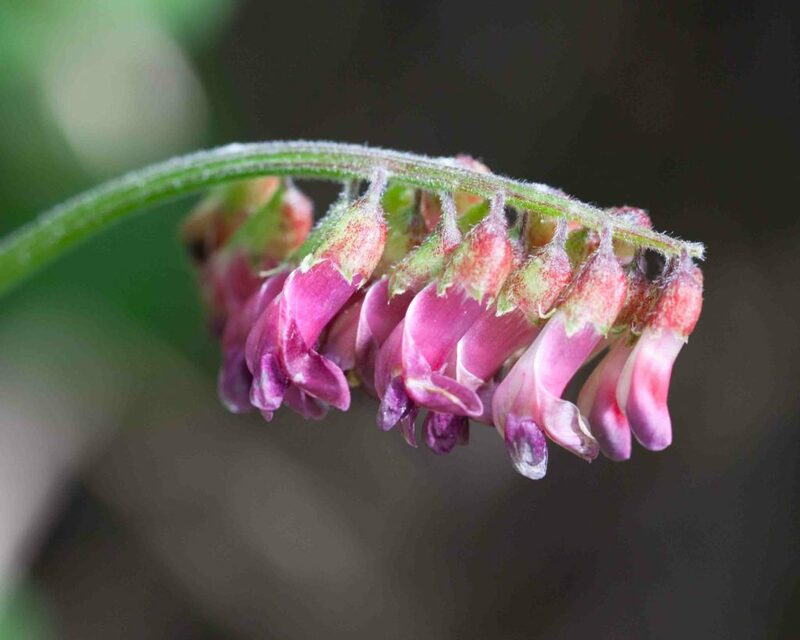 Thirdly, the stems and leaves are noticeably hairy as is the flower tube and the long, linear calyx lobes are prominently plumose. 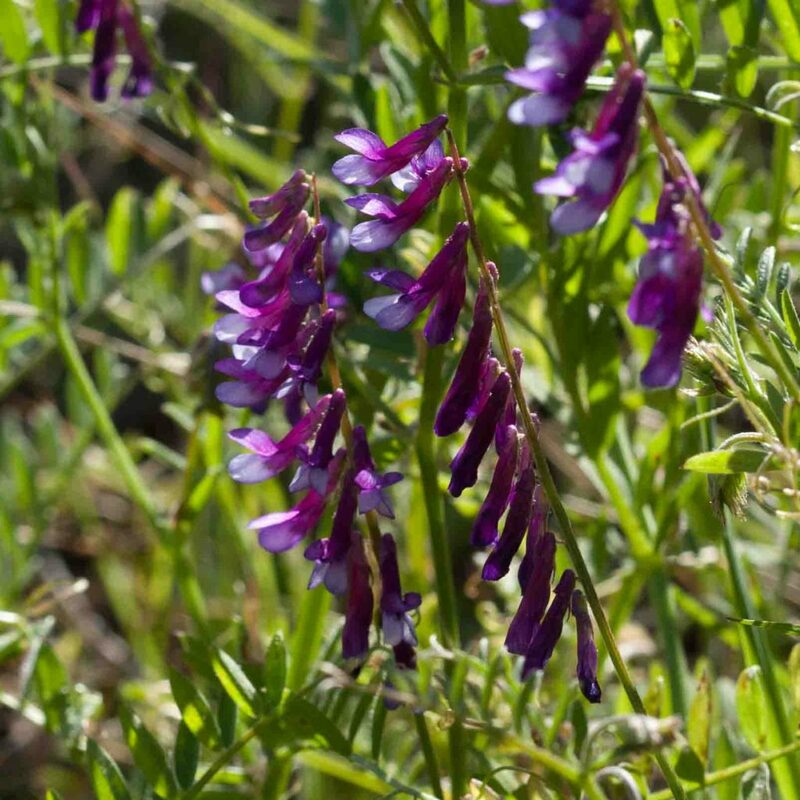 Note: Yeager & Mitchell’s Monterey County Wildflowers – a Field Guide incorrectly identifies this plant as Woolly Vetch (Vicia villosa subsp. villosa). 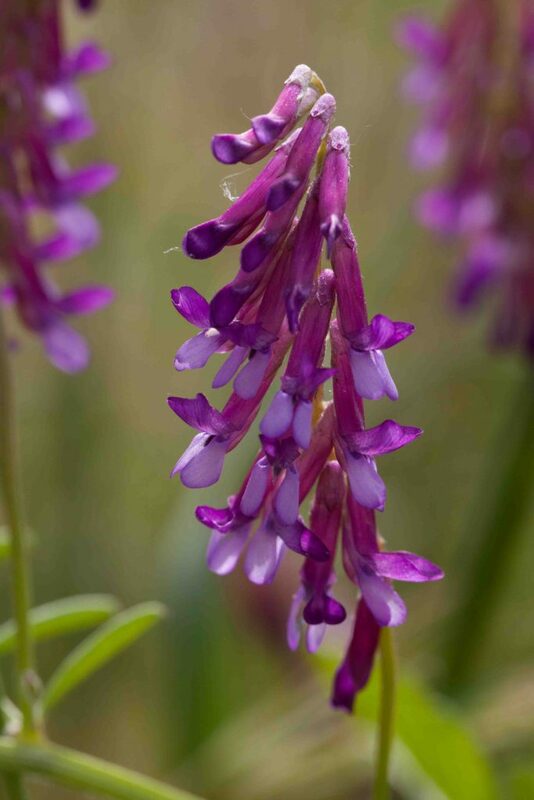 Like Winter and Woolly Vetch (Vicia villosa), this has flowers confined to one side if its axis, sometimes appearing as rather tight, more or less rounded clusters. 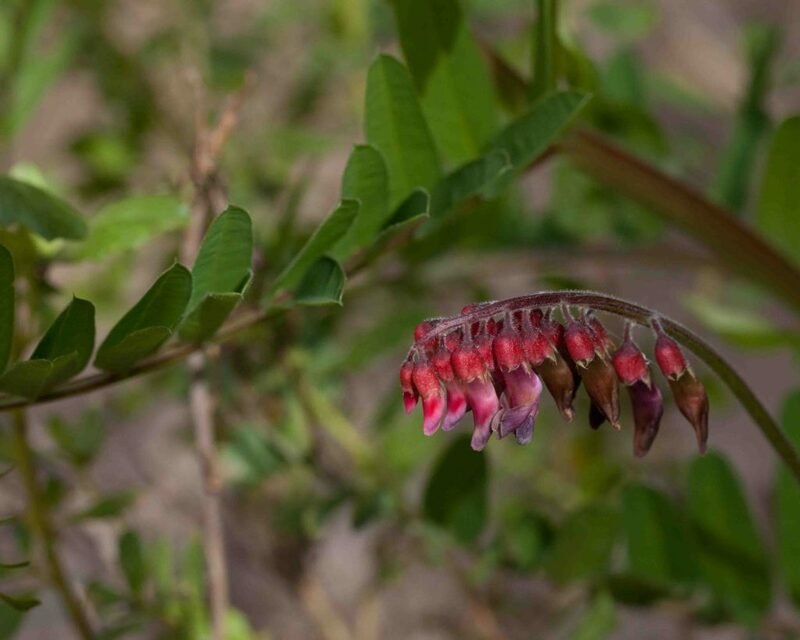 There are 6–15 flowers, reddish purple turning black with age. 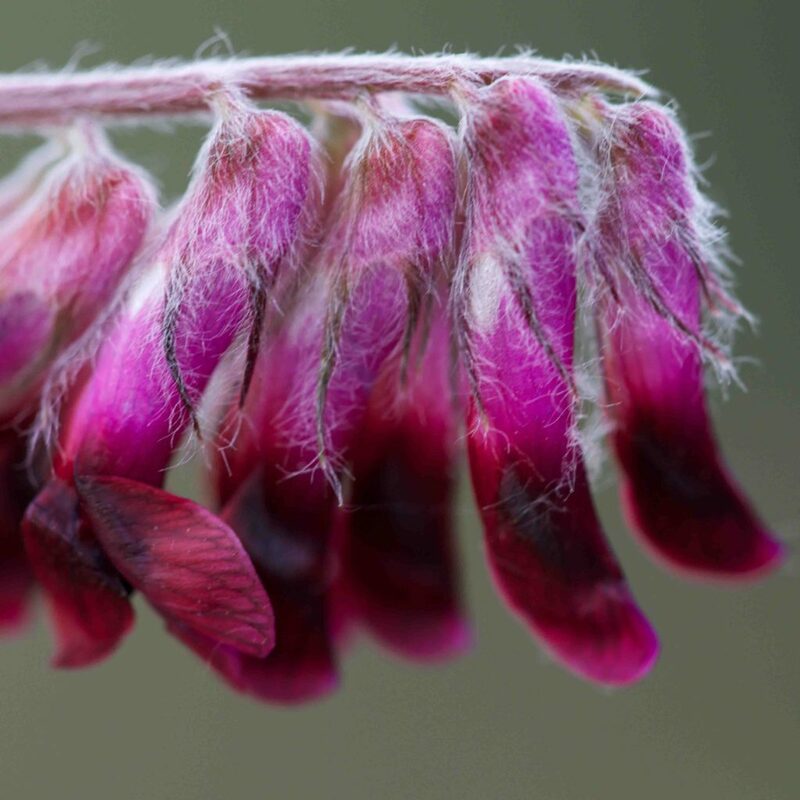 There are 16–24 leaflets with rounded to acute tips. 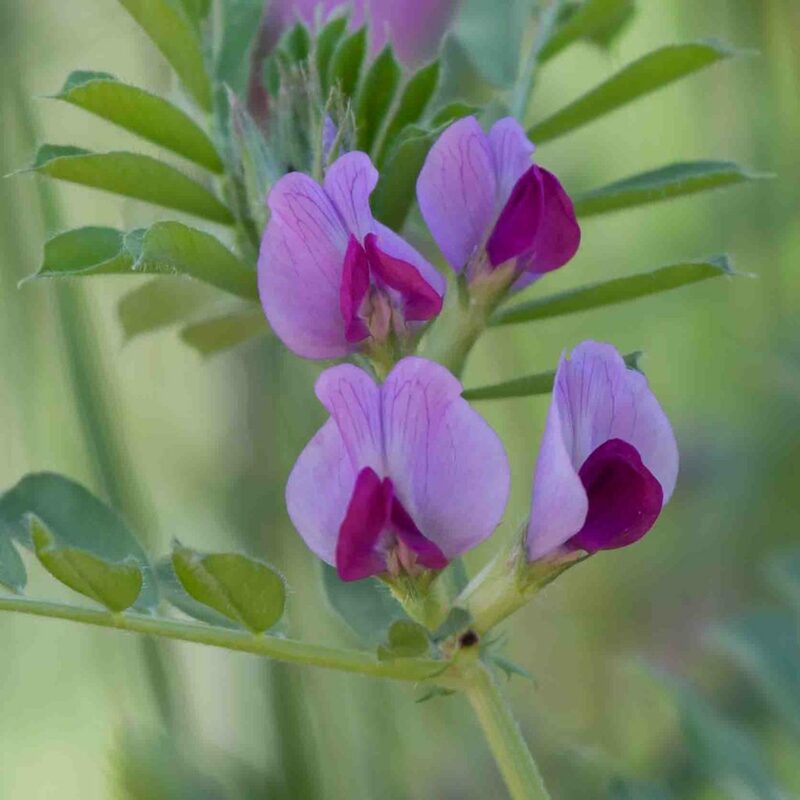 Fruits are pendulous clusters of 2–4.5 cm long flattish, typical pea-like, pods. 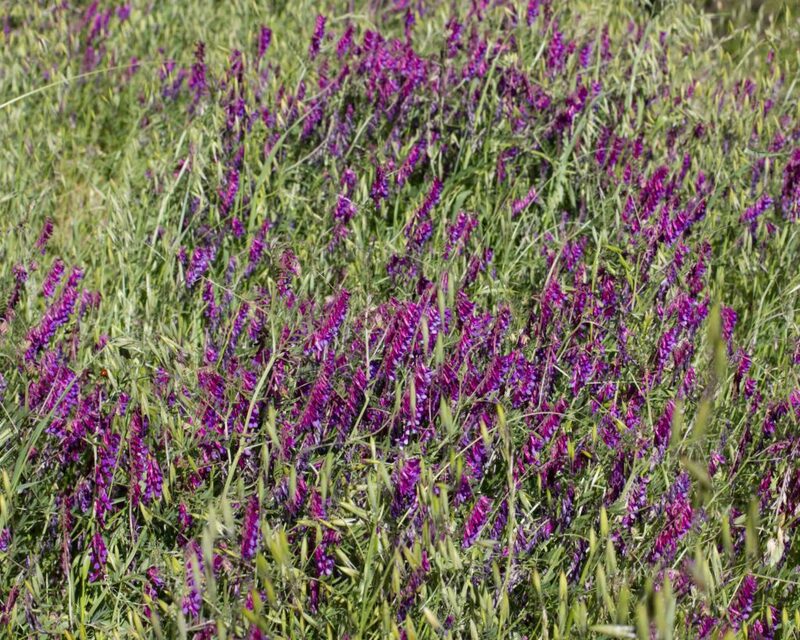 This can be quite a bushy plant and spreads aggressively. It may be finely hairy or more or less glabrous. 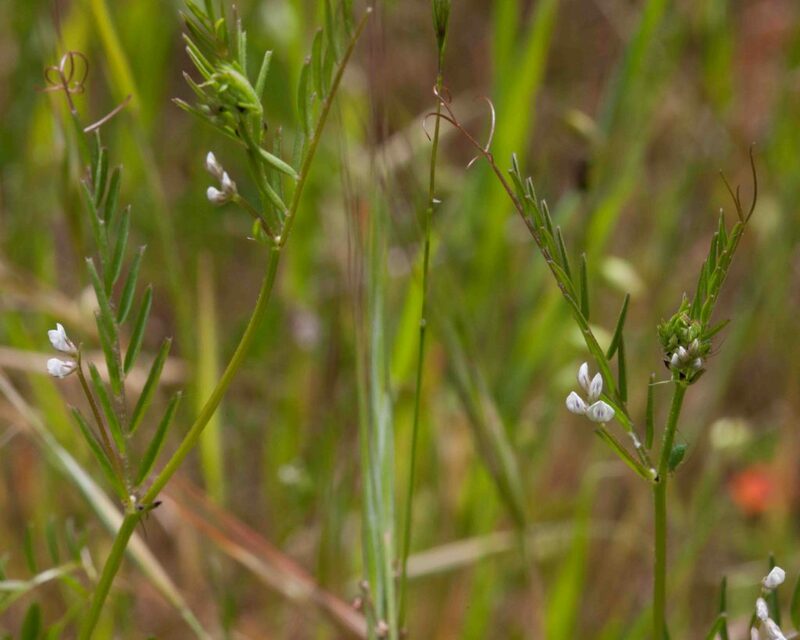 Flowers are tiny, white or pale blue, usually 2–3 mm long in cluster of 2–8. Fruits are noticeably hairy and 6–10 mm long. 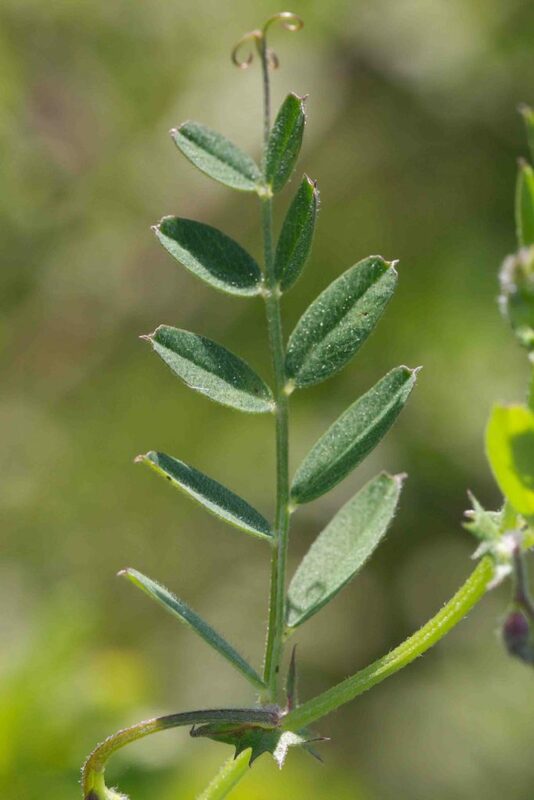 Leaves have 5–8 pairs of narrow leaflets. 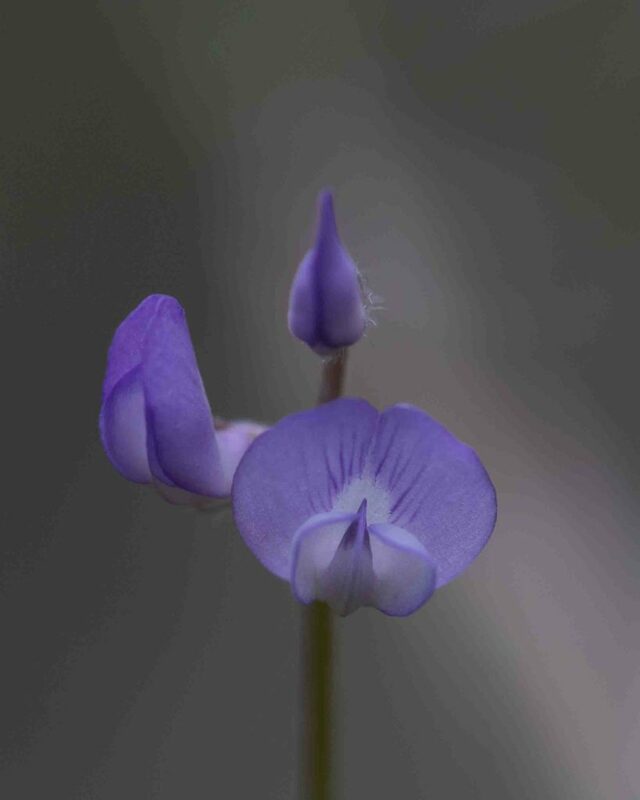 This is a sprawling or low-climbing vetch with 1–3 small (4.5–7 mm) pale blue flowers. 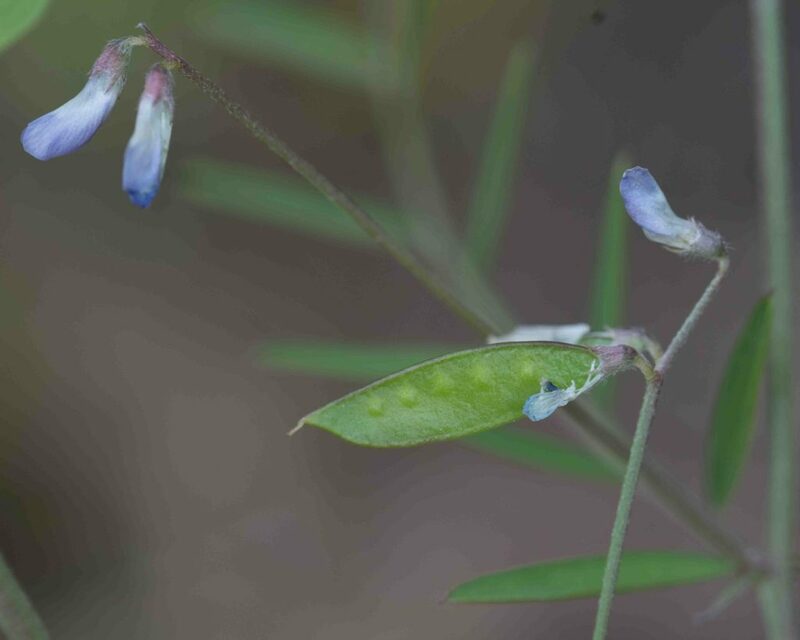 Leaves have 2–5 pairs of narrowly oblong leaflets. 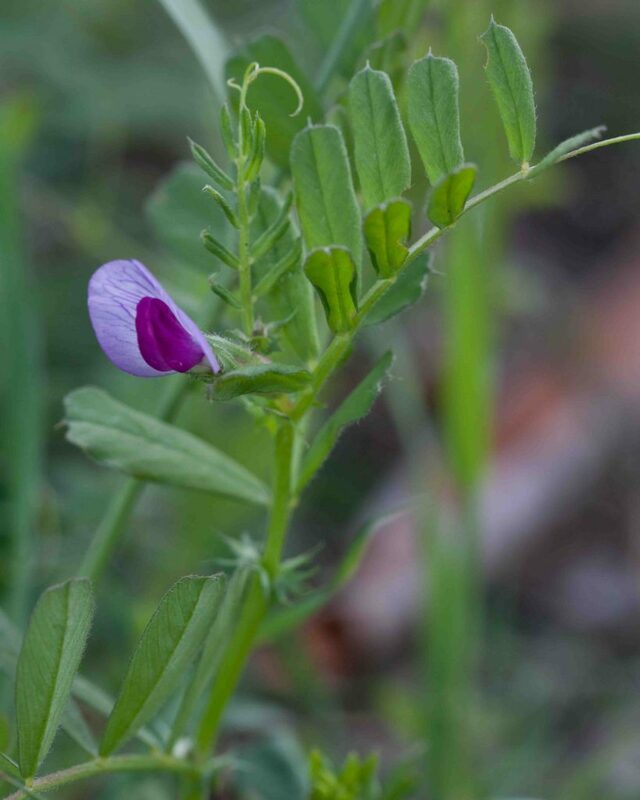 Fruits are a typical pea-like pod, glabrous and 1.5–2.5 cm long. 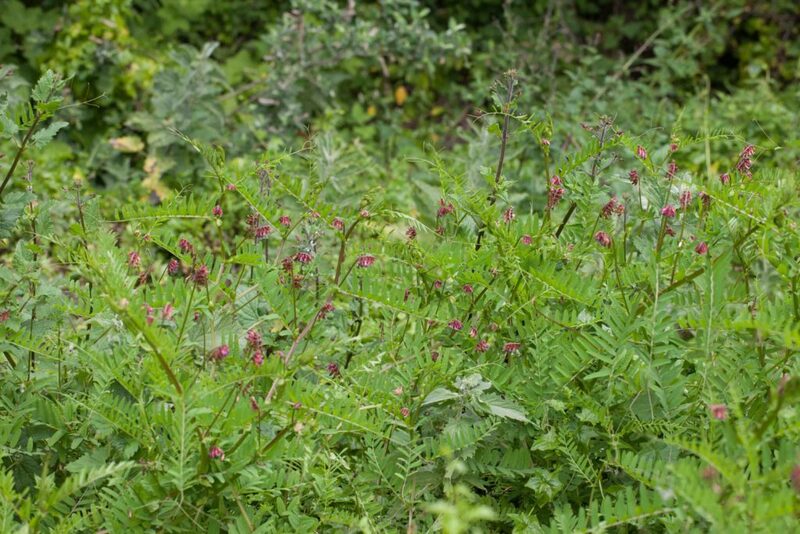 A common sprawling or climbing vetch with 1–3 pink-purple flowers, 10–18 mm tall. 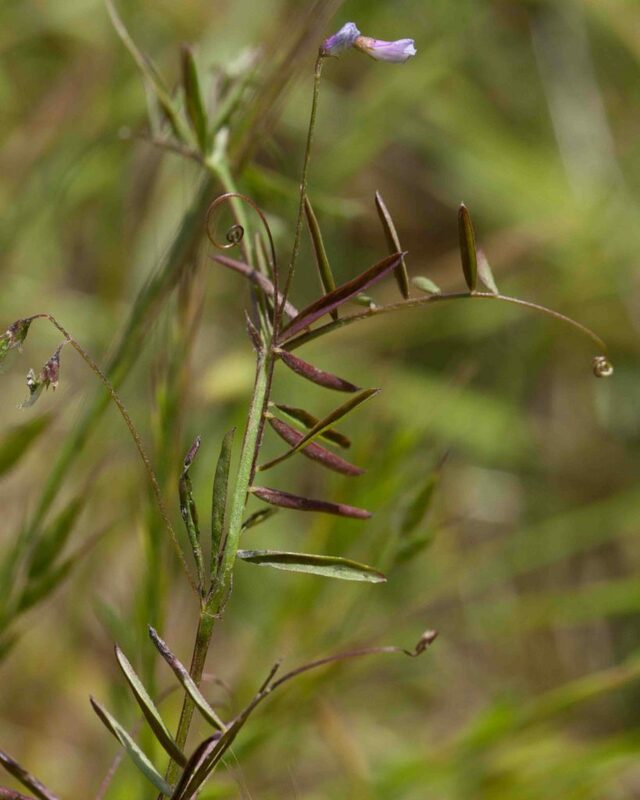 Leaves have 4–7 pairs of linear to lance-oblong leaflets, 4–10 × as long as wide. 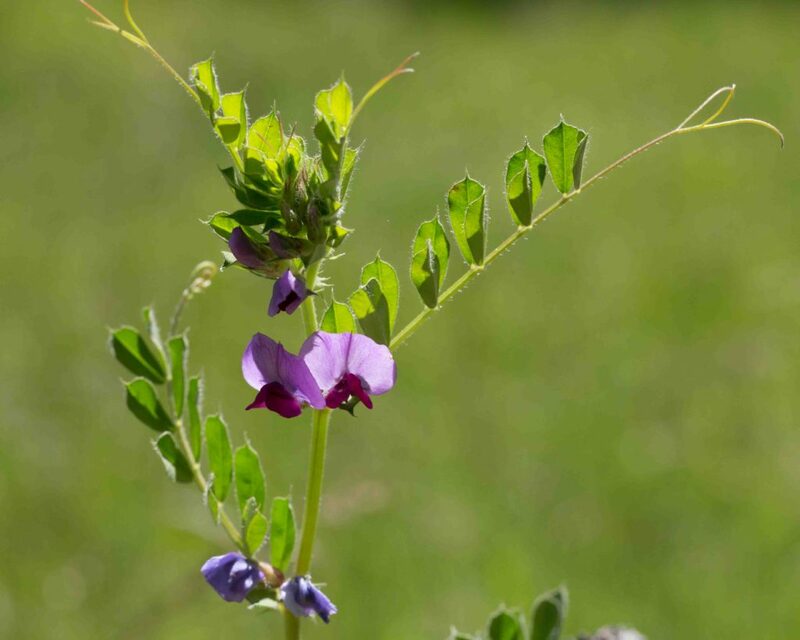 Any confusion with Spring Vetch (subsp. 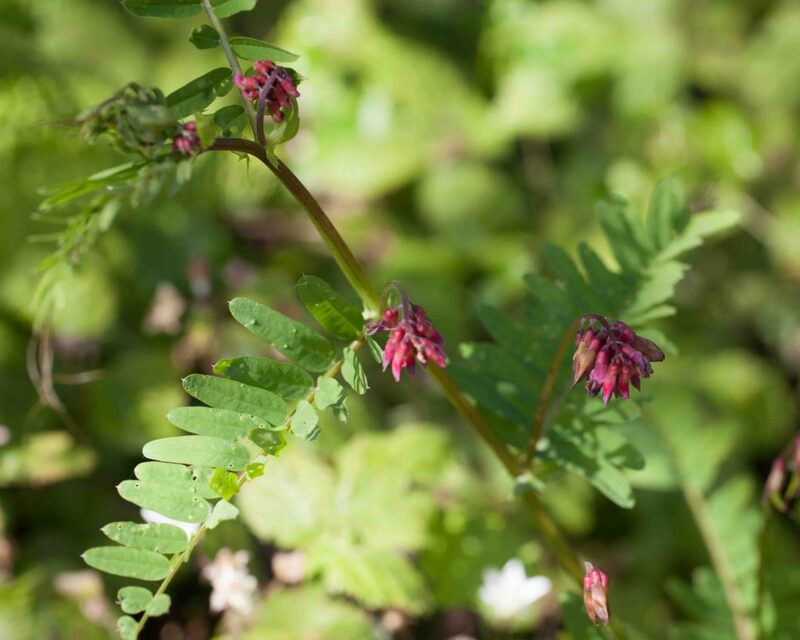 sativa) can be avoided not just by the different size and color of the flowers but also by examining the calyx lobes. 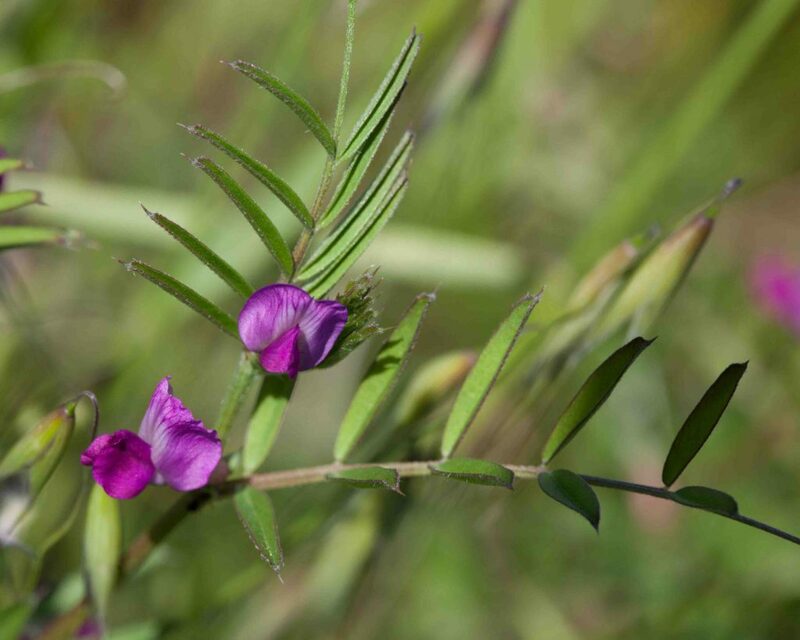 Those on Narrow-leaved Vetch are shorter than the calyx tube, those on Spring Vetch are longer. 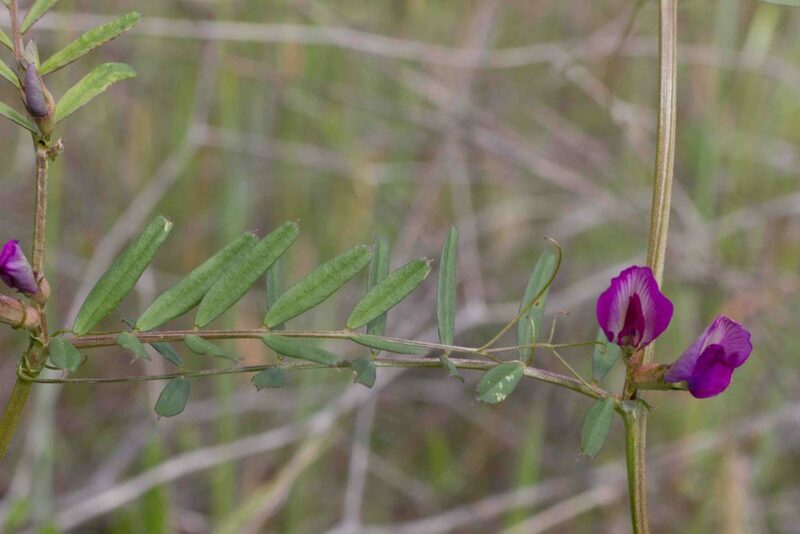 Another common sprawling or climbing vetch with 1–3 flowers, 18–30 mm tall. 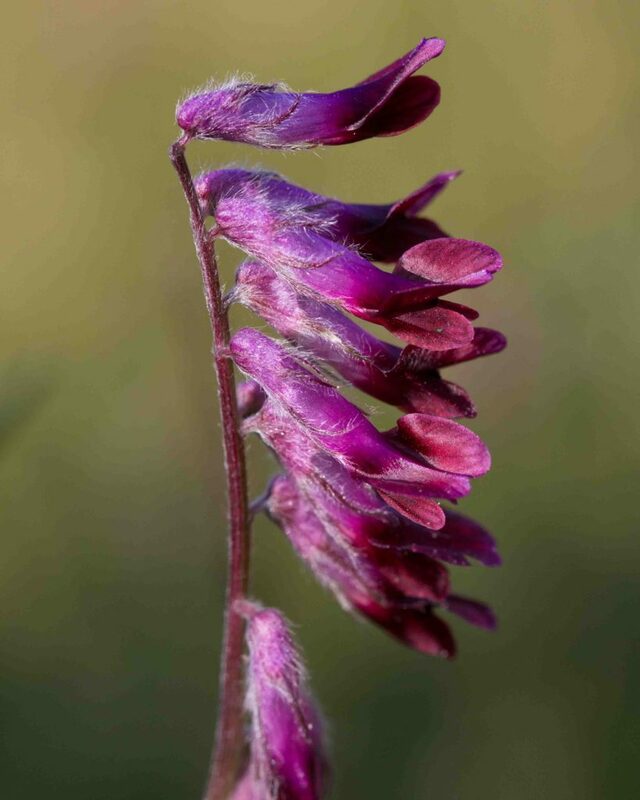 Flowers are bicolored, dark red-purple with pink-lavender on the wings. 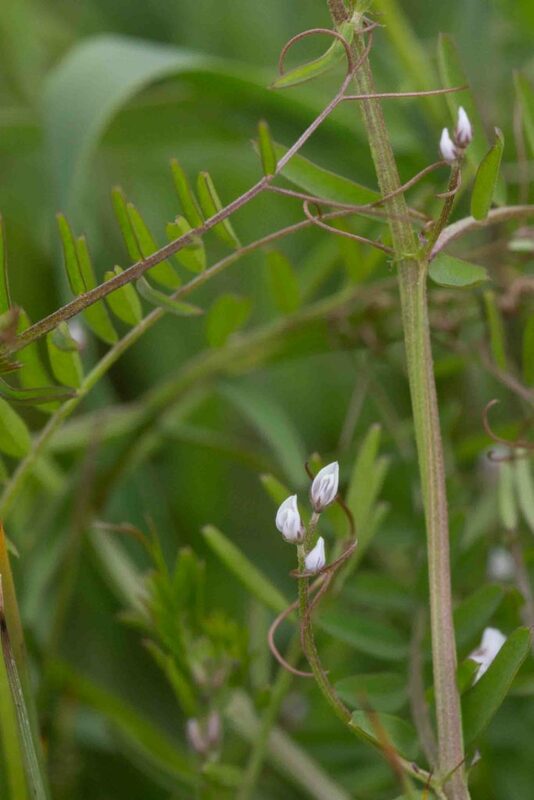 Leaves have 4–7 pairs of wedge-shaped to oblong leaflets, 2–6 × as long as wide. 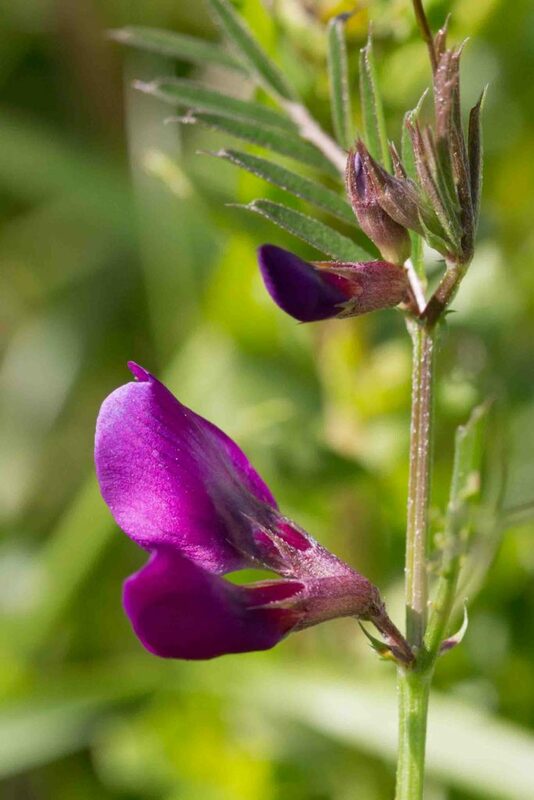 Any confusion with Narrow-leaved Vetch (subsp. 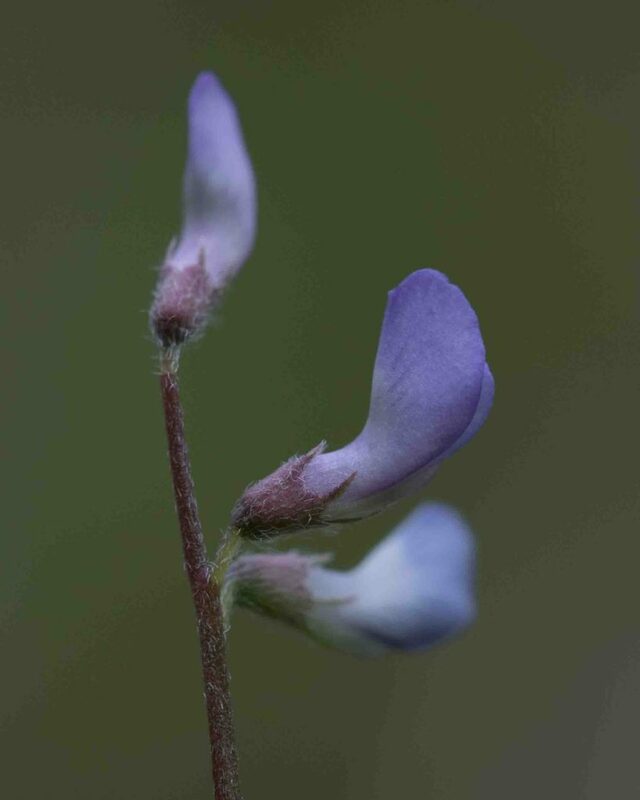 nigra) can be avoided not just by the different size and color of the flowers but also by examining the calyx lobes. 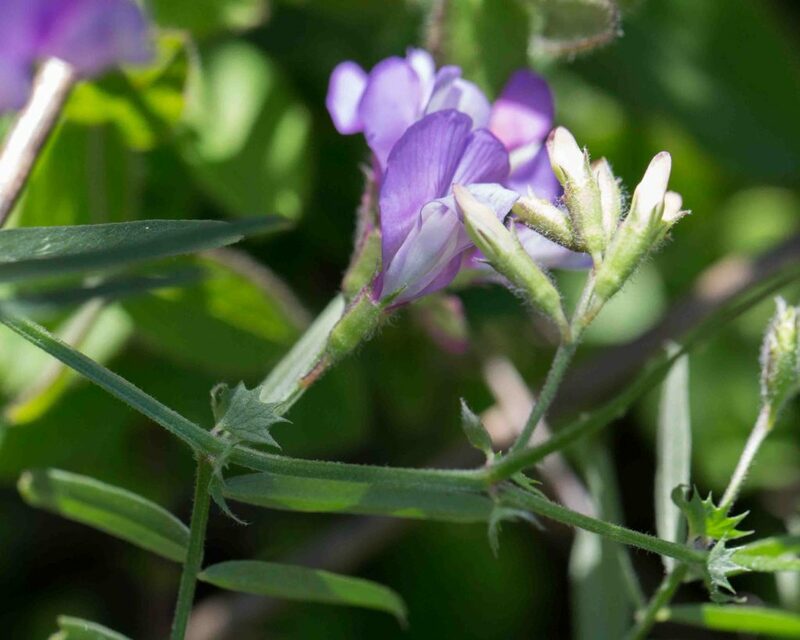 Those on Spring Vetch are longer than the calyx tube, those on Narrow-leaved Vetch are shorter. 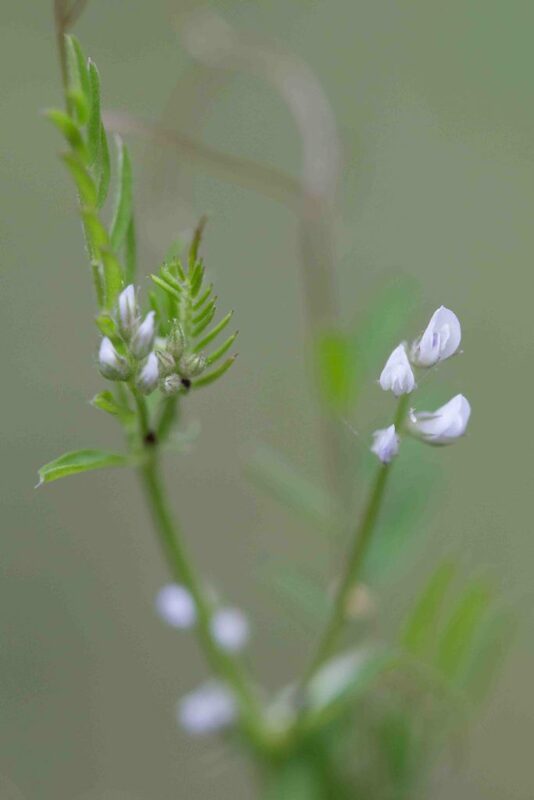 A very common vetch, flowering in summer despite its common name (deriving from its use as a winter cover crop). 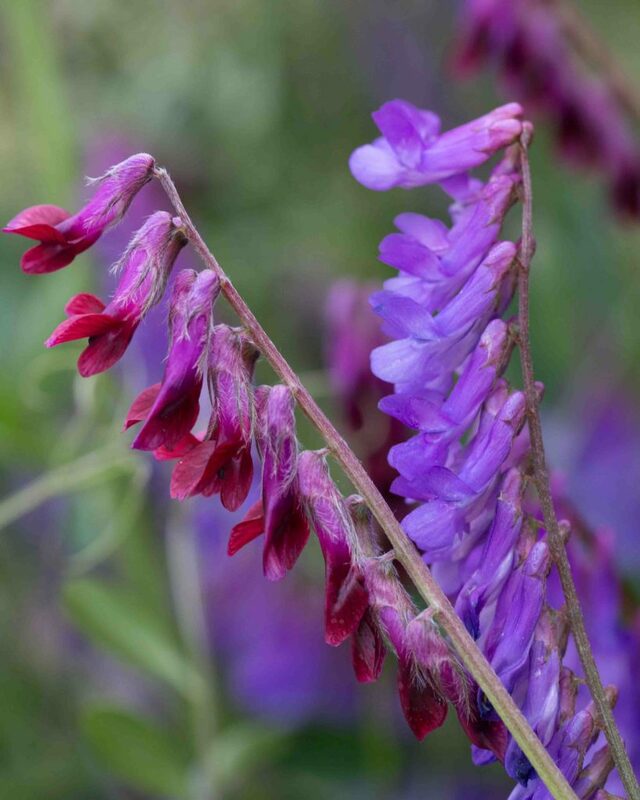 Its blue-purple or lavender and white flowers (generally 10–20) are concentrated on one side of the long axis. 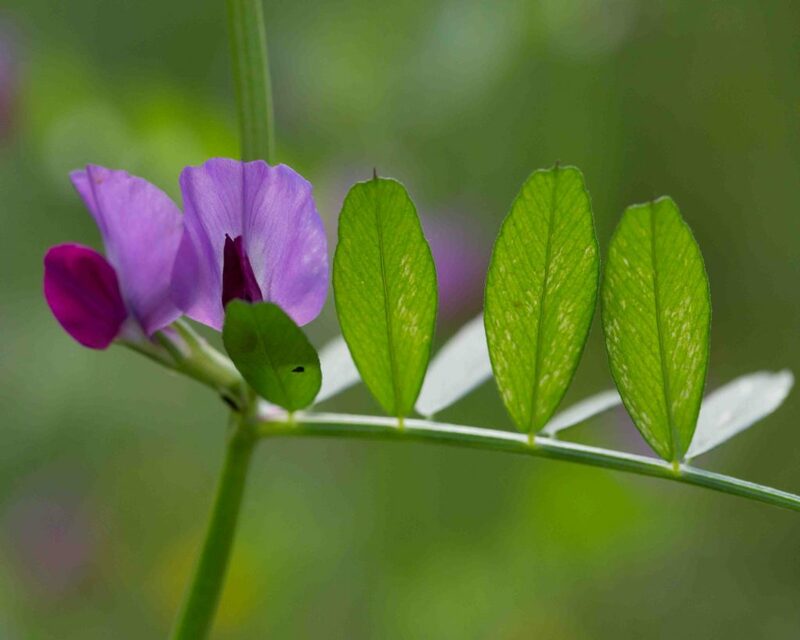 Leaves have 8–12 pairs of linear leaflets. 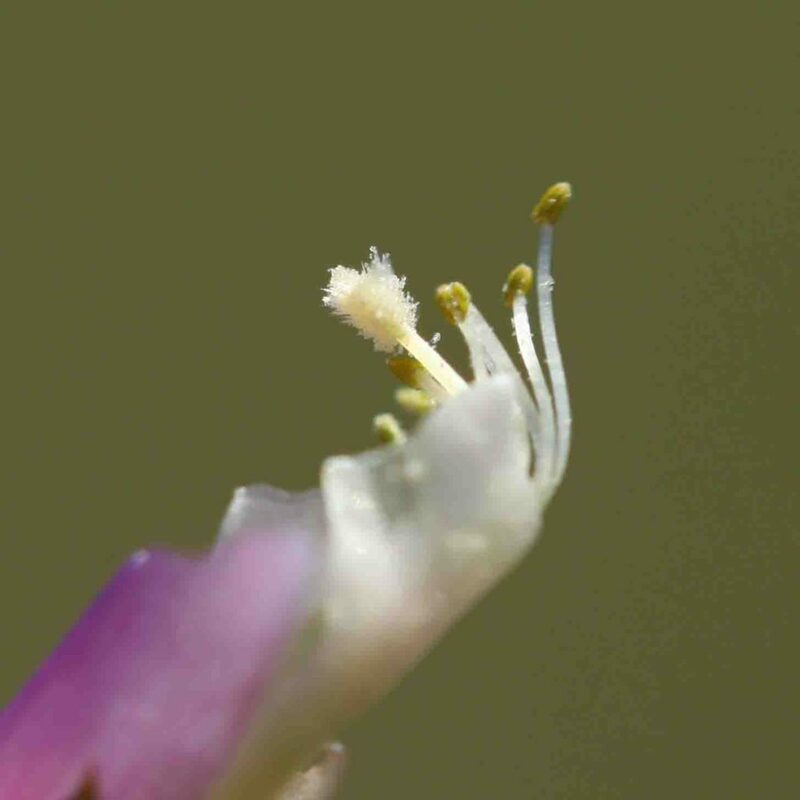 Calyx lobes are narrowly lanceolate and 1–2.5 mm long. 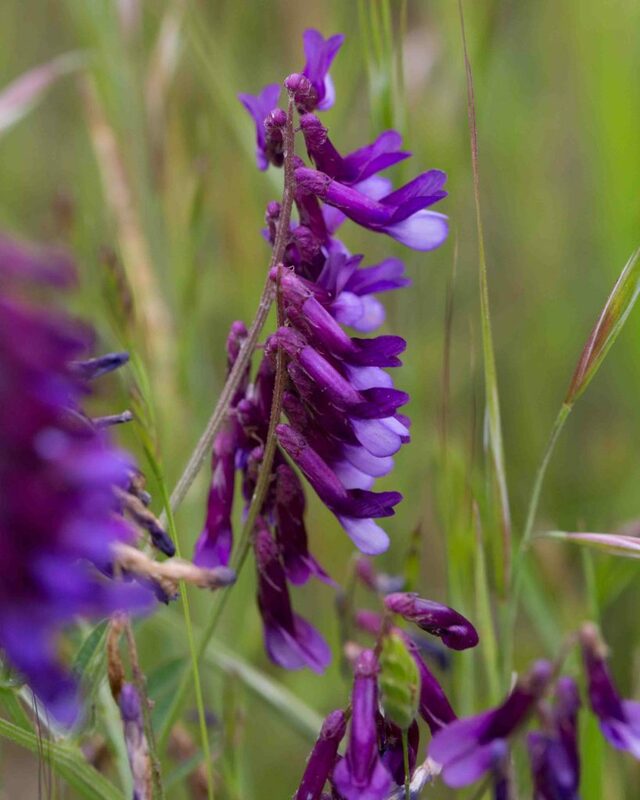 Woolly Vetch (subsp. 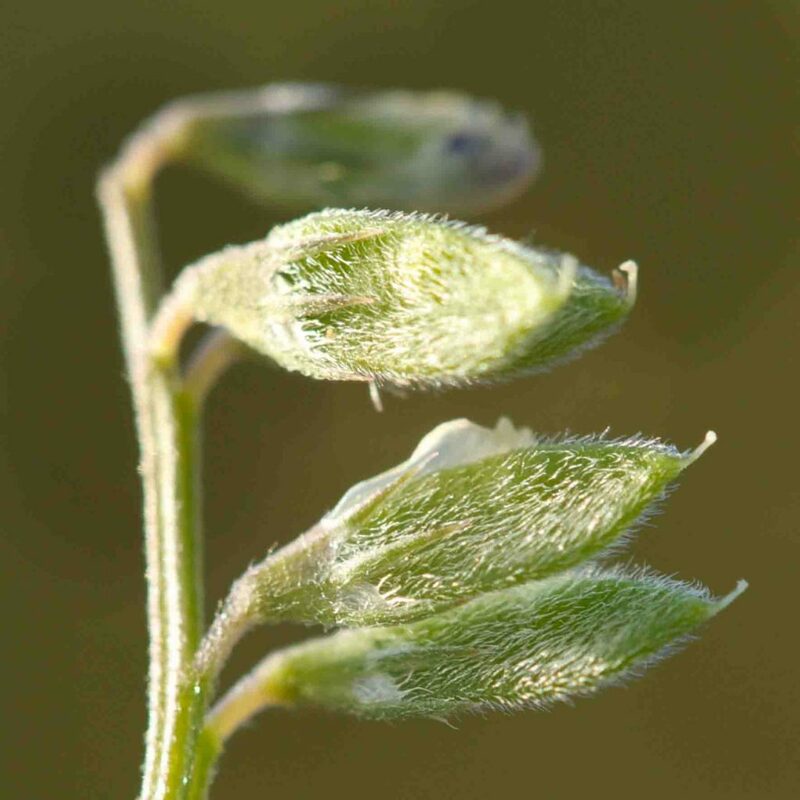 villosa) is similar but with more flowers (generally > 19), hairier stems and leaves and linear and longer (2–4 mm) calyx lobes. 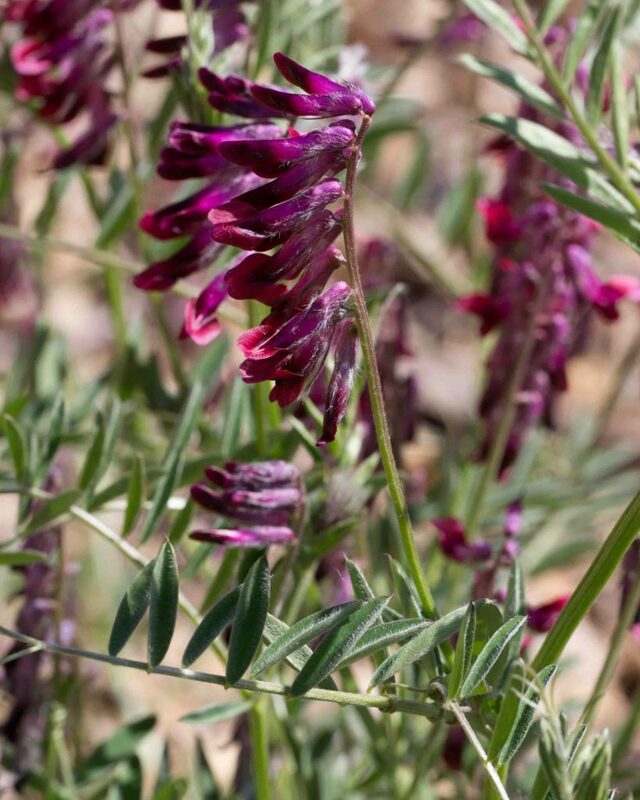 Woolly Vetch appears to be uncommon in the county, mainly found in the Fort Hunter Liggett area.